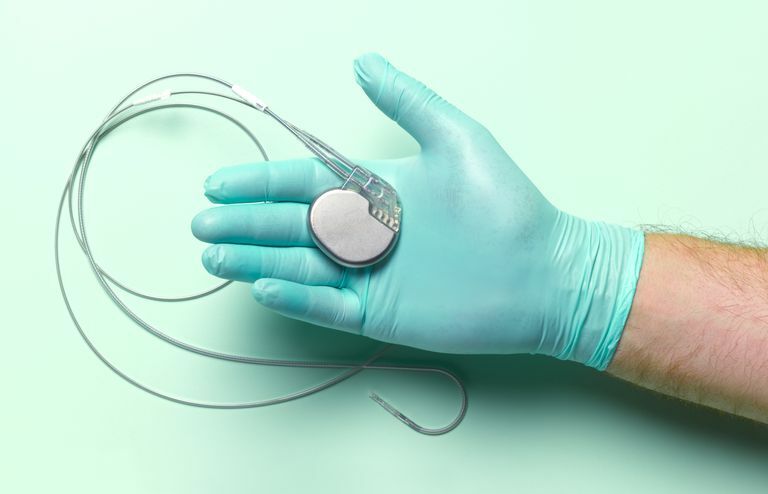 Whenever anyone receives an automatic implantable cardioverter-defibrillator (AICD), the goal is always to allow the patient to return to as normal a lifestyle as quickly as possible. Still, there are a number of lifestyle issues that you need take into account if you are considering an AICD. For the first month following AICD implantation surgery, you will need to avoid vigorous exercise and specifically, activities that require significant movement of the arms. These activities may include golf, tennis, swimming, vacuuming, and lifting more than a few pounds. Contact sports: You will need to avoid contact sports, such as football and highly competitive basketball. Cell phones: You can use your cell phone, but you should try to keep the phone more than six inches from your AICD. (This means, for instance, keeping it out of your breast pocket.) This precaution is advised because the radio waves generated by cell phones can sometimes "confuse" the AICD as it continuously analyzes your heart rhythm. Medical equipment: Special precautions must be taken to protect the AICD before you have an MRI scan, lithotripsy (a sound wave machine used to treat kidney stones) or any surgery that might involve cautery. So, the safest course of action is to simply remind the doctor that you have an AICD before having any medical procedure. Magnets: Magnets placed in close proximity to an AICD (within six inches or so) can inhibit the AICD from delivering therapy (should that become necessary); in some cases, magnets held against an AICD for 20 to 30 seconds can actually turn the device off altogether. So magnets should be avoided. Magnets can be found in many places in our environment, and AICDs have been reported to be affected by such things as bingo wands, refrigerator magnets, and lifting stereo speakers against the chest. So if you have an AICD you will need to be aware of magnets in your environment, and keep them several inches away from your device. Welders and other power generators: Welding equipment, motorized generators and high-voltage transformers generate powerful electromagnetic fields that can affect your AICD. You should avoid coming into close contact (that is, within a few feet) with that type of equipment. There has been a lot of confusion among patients and doctors about appropriate driving recommendations for patients with AICDs. Most people who have AICDs receive them because they have an increased risk of sudden cardiac arrest, a condition that produces sudden loss of consciousness. Sudden loss of consciousness, obviously, would be a problem if you were driving a car. But how does an AICD impact your risk of losing consciousness? This question has been a matter of vigorous discussion. To a large extent, it is the increased risk of cardiac arrest (and not the presence of an AICD) that most impacts the risk of getting behind the wheel. Many experts believe that AICDs—by delivering therapy within a few seconds of the onset of cardiac arrest—may make loss of consciousness less likely. On the other hand, it has been argued that suddenly receiving a shock while driving may cause people to lose control of their cars even if they do not pass out. Also, on rare occasions the first attempt an AICD makes at treating an arrhythmia may accelerate the arrhythmia instead of terminating it, and faster arrhythmias are more likely to make you pass out. So, the debate goes on. Current guidelines on what doctors should tell their patients with AICDs about driving differentiate between people who receive their AICDs because they had a previous cardiac arrest or an episode of ventricular tachycardia (VT) or ventricular fibrillation (VF), and those who receive AICDs simply because their risk is high (but who have never before had a cardiac arrest). If you are in the latter category (no prior cardiac arrest or VT or VF), most doctors will allow you to drive as soon as you have recovered from surgery. But if you have had a prior cardiac arrest, or VT or VF, the American Heart Association recommends no driving for six months after AICD implantation or within six months of receiving a shock. But once six months have passed after either implantation or a shock (whichever is more recent), driving is generally permitted. Because there are more opinions than data on the question of driving with an AICD, driving recommendations, in the final analysis, are often individualized. Furthermore, different states have different regulations on driving with AICDs that may or may not be consistent with current medical guidelines. So you will want to talk to your doctor about his/her policy regarding driving with an AICD. Winters, SL, Packer, DL, Marchlinski, FE, etal. Consensus statement on indications, guidelines for use, and recommendations for follow-up of implantable cardioverter defibrillators. Pacing Clin Electrophysiol 2001; 24:262. Akiyama, T, Powell, JL, Mitchell, LB, et al. Resumption of driving after life-threatening ventricular tachyarrhythmia. N Engl J Med 2001; 345:391.